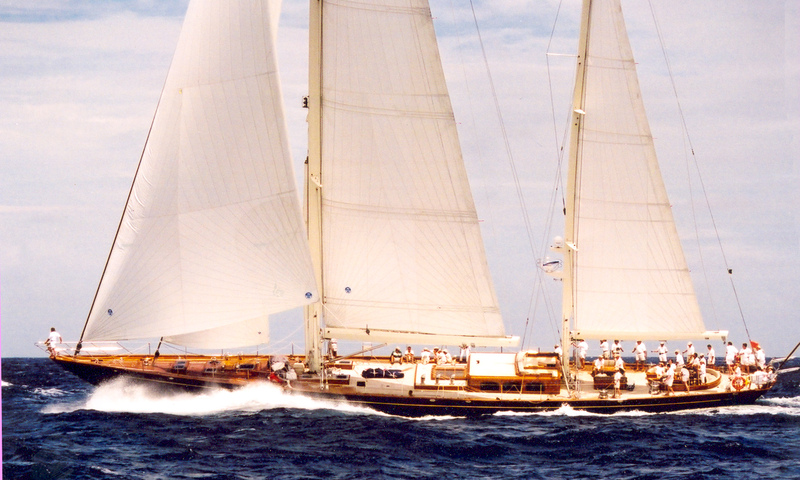 Hatairos, unfortunately sails no longer, but beautiful private yacht in her day. Have you ever been sitting at a charming dockside tavern, enjoying the sunset over a balmy harbor when a boat turns into the harbor and dwarfs all the others? You count the windows you realize that the thing has got to be over 100 feet long, in fact maybe 130 feet or so. And the thing is three stories tall, with a helicopter on one deck and a 20 foot sailboat on davits on another. As it takes anchorage people appear on deck and shortly the yacht is bobbing gently on the blue waters of paradise and all is quiet and calm. As if by magic a hole appears in the stern, yet another boat slides out and is lowered slowly to the water as you try not to think that you have just witnessed the live birth of a large hard bottom center console zodiac. As uniformed crewmen leave the yacht heading for shore to provision, you can’t help but wonder who is on that boat? From your perch you can see the rest of the crew in casual uniform getting ready to serve cocktails for the guests on the lower deck. Half an hour later there are sequined dresses and blazers as if the glorious sunset was arranged just for them. While these guests are occupied with relaxing on deck, overhead on the deck above more crewmen are setting the stage for dinner. It is theater, no mistaking it. Tomorrow night the same scene might occur but with palm trees on the lower deck, guests in shorts and pareos, and Polynesian music flowing over and around a dinner table of fruit, flowers and Poisson Cru on the upper deck. Practically anything is possible on a luxury cruise. And who are these guys? And where do these yachts come from? Well the answers have changed in the last decade. It used to be that luxury yachts were built only for people with bottomless checkbooks. Ok, that is not the part that has changed. But what has changed is that the technologies for design and construction of Superyachts and Megayachts has advanced to the point where there are several hundred of them afloat now and if you want to spend your vacation moving through paradise on a yacht surrounded by crewmen who live by the phrase “your wish is my command” you can. This burgeoning new industry of crewed yacht charter has made it feasible to charter yachts in length from 80’ to over 300’ practically anywhere on the planet. They come with engines, sails or jet power. They often wear other boats and water toys like jewelry. They come with one hull, two hulls and even with three. And they can be tall! One new sailing yacht can not be chartered from Sydney because is can’t get under the bridge over the harbor. It can, in theory, be sailed by computer from Florida though. 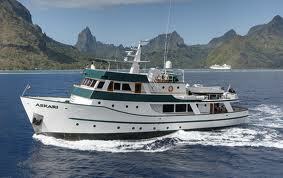 Some have three staterooms and a crew of three while others carry up to 45 people with over half of them being crew. Let’s say a group of six wants to charter a yacht for a week in the Caribbean. You request three state rooms with heads and you want it to be very nice. You have three flavors of yachts to choose from, and the rates for them vary by kind of boat as well as location. In the US & Caribbean aboard a motor yacht it is estimated that the-add on service charge will be 35% of the charter, to cover fuel, dockage, the bar (which can expand enormously when you invite guests aboard “your” yacht) and crew tips. You can expect this average to be 55% in the Med. 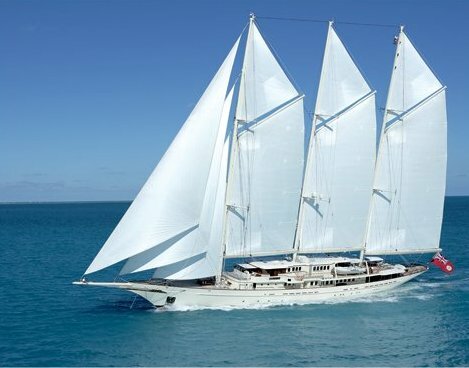 Sailing vessels don’t have the huge fuel consumption, so generally fuel is included in the charter price, and the service charges will be only for extra dockage, bar use and tips which come in closer to 15%. And now for the boats. Before you go out on any charter, a reputable charter broker will ask you to fill out what is called a preference sheet. This is where you get to tell the captain and crew your favorite foods, your beloved cocktails and any fantasies that you might have relative to theme or activity. The crew really want to know how to make each day you are aboard into the best experience that you have ever had. I have seen guests become so enchanted with the amazing food delivered any time or place, the extreme courtesy of a good crew and the ultimate comfort of life on such a yacht that they run off and buy one. Now he is not a guest, he is an owner. There are hundreds of these on the planet, gods in their world. 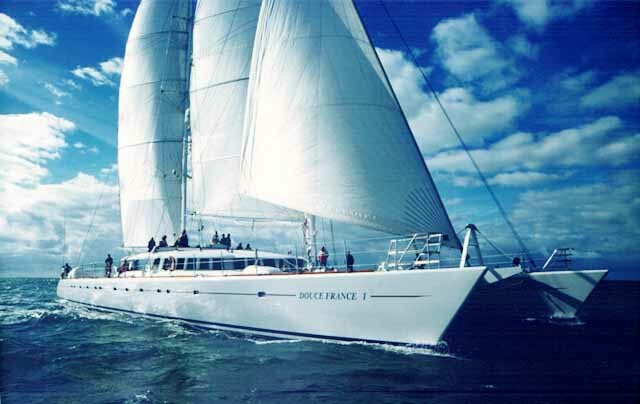 The decision about utilization of the yacht as well as the culture aboard comes directly from him. Is this yacht for his private pleasure alone? Is this yacht a perk that he uses for business associates and employees? Is this yacht a business investment targeted towards the charter industry? At the end of the day the yachts being built are some combination of the three. Of course none of this is possible without excellent crew. It can take a while to form a group of four to twelve people who work and live in harmony for long periods of time within the confines of a yacht. It doesn’t always happen the first time out. Crewmen join a boat for some period of time to test those waters. If the first boat isn’t a good fit, they network in pubs and on docks until they find people that they like working with, and a boat that they like that is owned by a kind and beneficent owner in a location they enjoy exploring. Once they have found this situation, they are hooked. Making good money with no living expenses while working among friends on a beautiful boat in beautiful places is a pretty sweet life and well worth the search. As the charter industry grows, more boats are being built and the need for good crew grows annually. I know of one captain who became an honorary member of the owner’s family, and has the ability to develop really good crews. They were all having such a good time together that they decided to go for a bigger boat and longer trips. 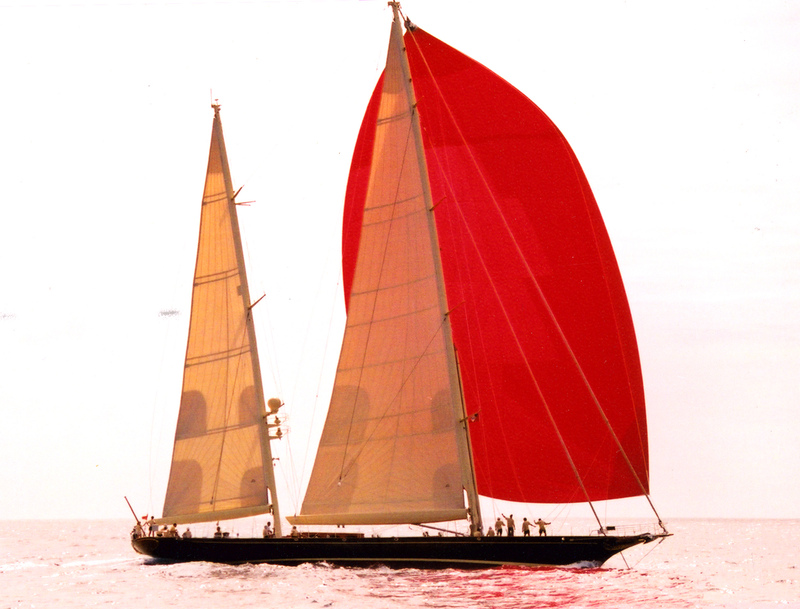 With this in mind they bought a 105’ tired old thing and brought to it beauty it had never before known under the banner of a refit. To help with expenses the now luxurious expedition trawler m/y yacht Askari went to Nicholson’s Yacht Charter Show in Antigua. The crew did such a good job with the refit and the show that the owner has not been getting much use from his boat. Askari was chartered for a nine month Caribbean to New Zealand cruise by a family that wanted to live aboard and explore the world. So that can happen too! 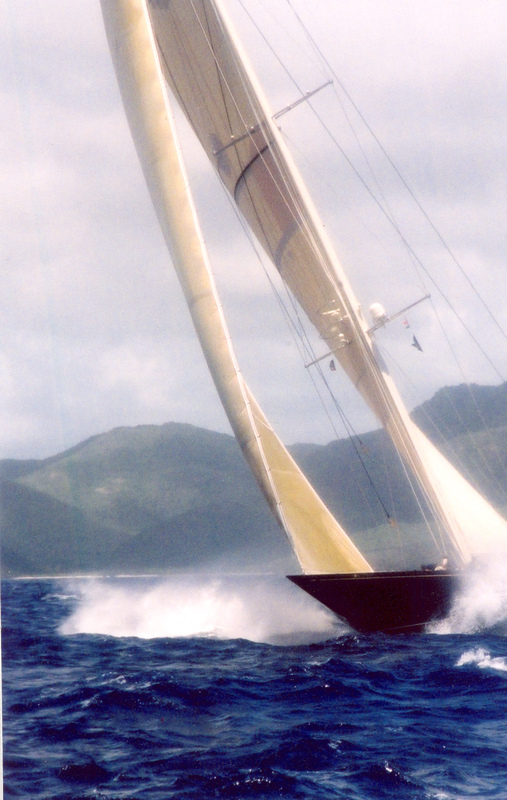 The world of the charter yachts is a relatively new industry and growing fast. With more boats, crews and participants exploring islands while living aboard it is no longer only available to the ultra rich. It is premature to say that under most conditions it is a good investment to buy a yacht and expect it to be a revenue stream for you unless you are the owner/captain and living aboard. People are leaving the land to become charter captains though, and the life is very nice for them too. That this is out there. You could be an owner, a guest, you could be crew, or you could be an owner/captain. These are all means of seeing the world from the water, and as a serious devotee I highly recommend spending some time at it!